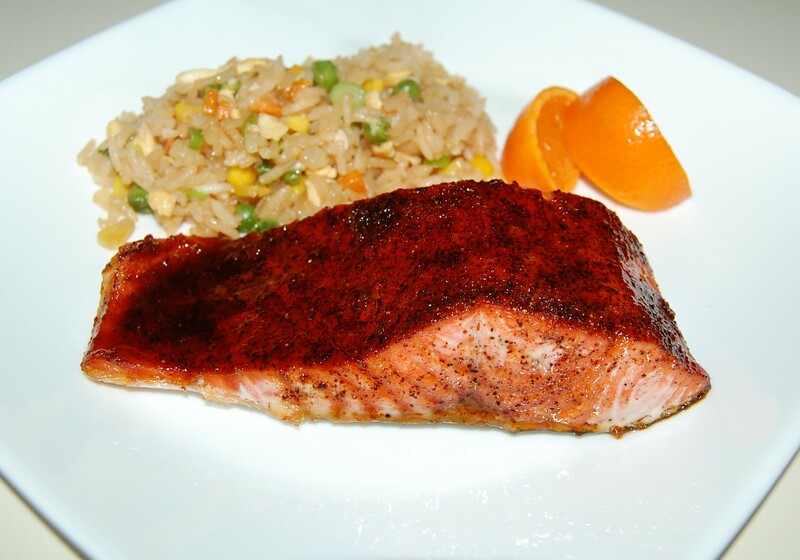 A combination of sweet and savory spices, gives this salmon it's wonderful flavor. In a small bowl whisk together brown sugar, chili powder, orange zest, cumin, paprika, salt, coriander and pepper. Drizzle salmon fillets with olive oil and rub with spice mixture. 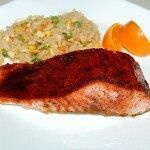 Place salmon on a broiler pan or grill coated with cooking spray. Broil for 8 minutes or until salmon flakes easily when tested with a fork. Serve with orange wedges.